Hey everyone! For today, I have the 2nd part of my franken series. This one is inspired by Katee from A Girl and Her Polish. I love her blog and we just did a nail/beauty swap! 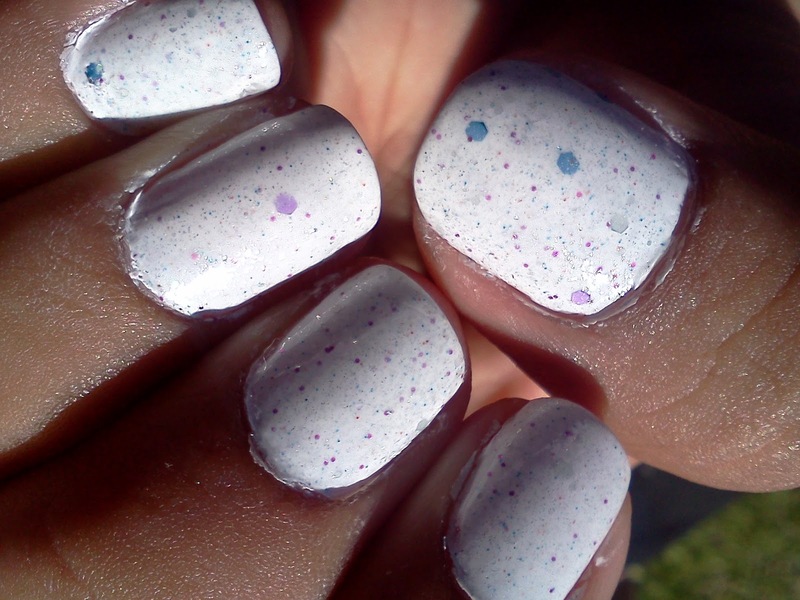 I actually sent this one to her and asked what color she wanted her franken. She said that she's been liking white, and I liked the idea of a white franken. 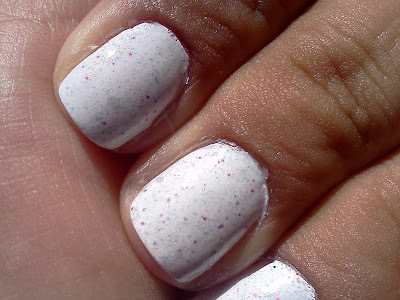 So I came up with a white polish with silver shimmers, pink glitter,blue micro glitters, and purple/blue hex glitters! She picked the name: Fan-Dabi-Dozi! Enjoy! :) its on its way!!! Ooo I like this a lot! It reminds me of a jawbreaker hehe. Great job!! thanks :) glitter goes well with everything!